In addition of the Roar and Quest, Starmobile recently announced it's newest affordable but powerful smartphone which features an Android Kitkat OS with BSI Rear Camera and HSPA+ connectivity, the Starmobile Sky. 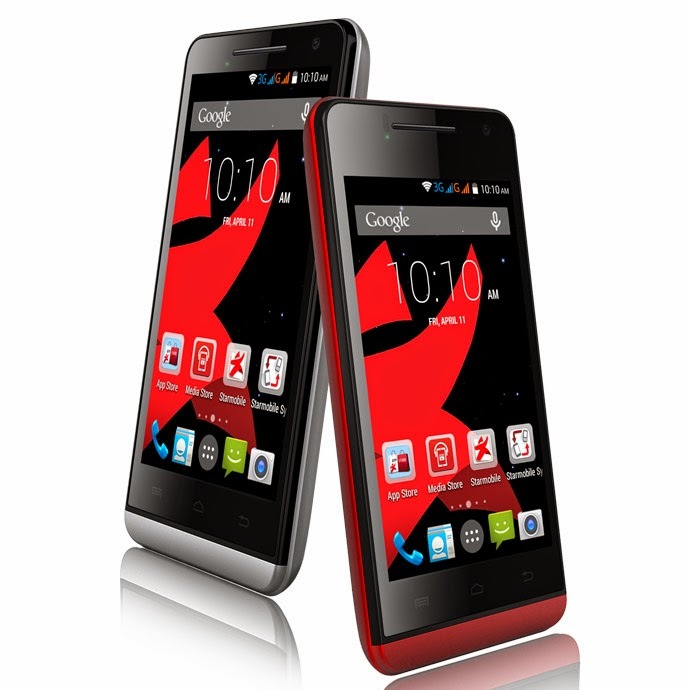 The Starmobile Sky sports a 4-inches touch screen display and runs on Android 4.4 Kitkat. Powered by a Mediatek MT6582 quad-core chip clocked at 1.3GHz with 512MB RAM, Mali 400-MP2 GPU clocked at 500MHz, the Sky has a 4GB onboard storage. The Sky comes with two SIM slots (1 micro + 1 regular) and it supports Bluetooth, Wi-Fi and Dual 3G Standby. For PhP 3,890 tag price, Starmobile offers the Sky with 1600mAh lithium-ion battery module, promising up to 5.5 hours talk time and 200 hours standby time. It also equipped an 8-megapixel BSI main camera and a VGA on front.